"I'm a precision instrument of speed and aerodynamics." 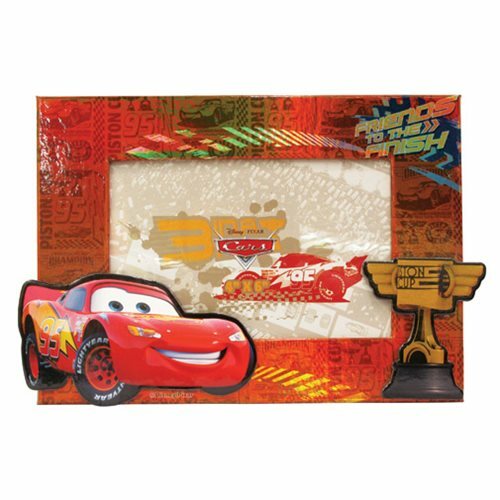 Take home the champ, Lighting McQueen, with the Cars Lightning McQueen Magnetic Photo Frame! Now you can cherish your favorite memories in this action-packed photo frame and display it anywhere you like with the convenient magnet. This frame measures about 8 1/2-inches long x 6-inches tall. Ages 15 and up.